(Honolulu) – Last weekend a man sent DLNR Chair Suzanne Case photographs of two hammerhead sharks, left dead near the He‘eia Small Boat Harbor on Windward O‘ahu. It’s impossible to determine how they died. Were they hooked and discarded? Were they caught up in a net? Did someone kill them illegally? 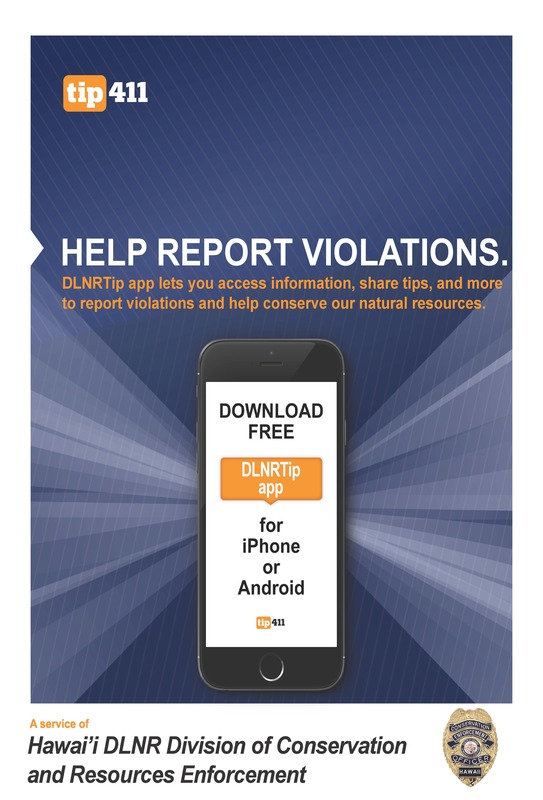 This is exactly the kind of situation the DLNR hopes people will report immediately using its new DLNRTip app. 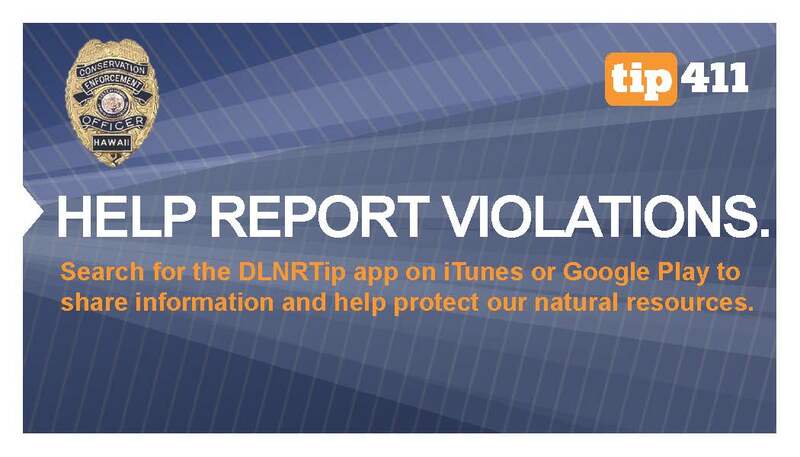 Developed by tip411, the DLNRTip app is an innovative program that encourages people to provide DOCARE with factual information leading to the arrest of anyone who poaches or harasses protected wildlife species, pollutes, or violates any State conservation resources rules. 1400 communities around the country are currently using the application developed by and managed by tip411. DLNRTip is available for download for free via the Google Play Store, iTunes App Store, or by visiting the DOCARE website at dlnr.hawaii.gov/docare.